A life-long pilot and flight instructor, Rob began flying as a single pilot for small companies in aircraft like the Piper Seneca and Navajo Chieftain. He later flew for the original Midway Airlines until that company closed its doors in 1991. The majority of his flying career has been spent as an ATP-rated business aviation and charter pilot in both Part 91 and Part 135 operations having logged nearly 7,000 hours. He holds Certified Flight Instructor and seaplane ratings. A veteran of the U.S. Air Force, Rob also spent 10 years of his career as an air traffic controller and supervisor for the FAA. Before joining Flying magazine as its senior editor, Rob wrote operations, safety and training stories for Aviation International News, Air & Space, AOPA Pilot-Turbine, Air Line Pilot, Career Pilot, P1, The Chicago Tribune and many others. He was twice awarded the Airbus Aerospace Journalist of the Year at the Paris Air Show and also twice awarded the National Business Aviation Association’s Gold Wing award for Outstanding Journalism, most recently at the 2018 convention in Orlando. During his career as a journalist, Rob has authored five aviation books published by McGraw-Hill and publishes the award-winning industry blog, Jetwhine.com. He has served as an on-air aviation expert for CNN, Fox News, NBC-TV, WGN-TV, the BBC and a number of radio outlets. 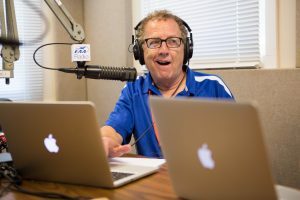 An audio producer, Rob co-hosts the Attitude Adjustment show each day on EAA Radio during AirVenture, the nation’s largest airshow in Oshkosh Wisconsin. 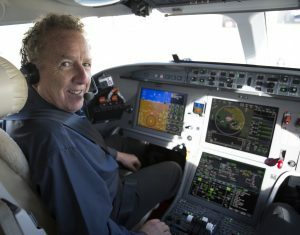 Rob wrote, produced and narrated a safety video about single pilot aircraft operations for the NBAA in 2017 titled, “Alone in the Cockpit.” He also wrote and produced a safety video for drone operators who are not familiar with how their flying could interrupt operations for regular aircraft. That show is called, “Before You Fly Your Drone.” He also has experience delivering on-camera analysis for some of his own stories such as when he flew Gulfstream’s G550. A graduate of Northwestern University’s Medill School of Journalism, he returned to teach at his alma mater for 6 years in that same graduate program.